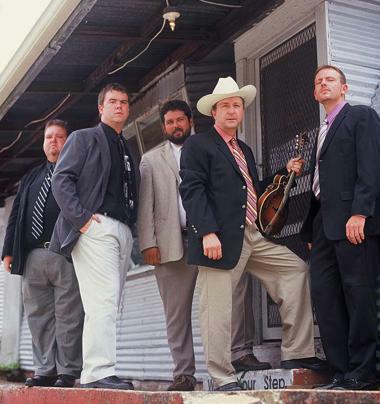 David Davis and the Warrior River Boys is riding a new project up the charts with just Two Dimes A Nickel. That’s the latest song from the Alabama native who has led the group for 25 years forging a unique place for his artistic flair. Davis said he was intrigued to see what his group could do with the song. However, it’s the listeners that are going with it, as it continues to climb the charts at #12 in August in Bluegrass Unlimited with new Rebel CD Two Dimes A Nickel making leaps and bounds up the album charts now at #10. I heard it originally on an Alan Johnston demo. He’s the songwriter from Premiere, West Virginia. Really what got my attention at first was the harmony approach they took in the first couple of words in the chorus. Once I listened to the song, I really got into the story and I saw it was a song we could really go with – David Davis. For the last three albums, Davis has made a conscious effort to create music that will appeal to all ages while remaining traditional. This includes working to find the right balance between the traditional sound that they are respected for preserving while creating music that will cross all music genres. Of course his love of bluegrass comes naturally as part of one of the industry’s first families. His Uncle Cleo Davis was Bill Monroe’s first Blue Grass Boy. Davis said Bill Monroe was innovative for his time, and he is working to bring a new approach to the tradition for today. Currently his group includes Marty Hays playing bass, Owen Saunders playing fiddle, Robert Montgomery on banjo and Adam Duke on guitar. We are continuing to find that needle in the haystack to create a style with the traditional roots that will be accepted by today’s audiences. We have some tremendous new material on the CD and I am really proud of all our band for the creativity they brought in furthering my vision for the project, he said. I am honored to travel the roads with them. They are true professionals – David Davis.